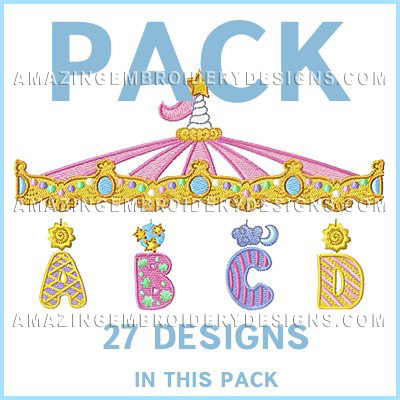 It does not appear that the singles of this set are available yet here on Cute Alphabets, I could not find the singles of this set either, but you can get the letter L design of the carousel font for $1.97 over at the amazing embroidery designs, where you collected the free designs you already have. Since this set was just recently added here, I do not know if they will also add the $1 option for the singles eventually too. Good job getting all but one letter. I have included the web address for the Letter L, but I am not sure if it will stay in my message.